I seem to collect bits and pieces I want to write about, but they're not quite enough to warrant a whole blog post. Sometimes they're review items that are fairly simple and don't need a whole post. Sometimes they're things that have come in from press releases that I think you might be interested in. Maybe you won't care about all of them, but hopefully you'll find at least one tidbit that you think is useful. Tea is a LOT more interesting than when I was a kid and the choices were black tea or the mysterious stuff that was served at Chinese restaurants. Now, "tea" might not have any tea leaves.Technically, it's not a tea if it doesn't have tea leaves, but you drink it like a tea. 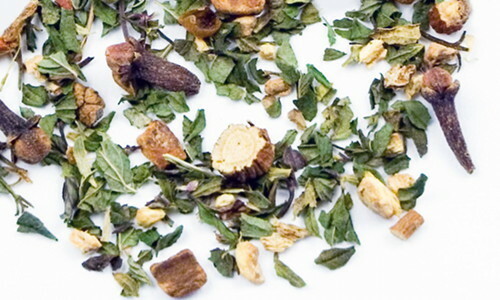 To be honest, these days I often like herbal mixtures better than actual teas. A bonus is that the herbal teas are usually caffeine-free, which is nice since I often drink tea in the evening, when I want something relaxing rather than energizing. The folks at Zhi Tea sent me some samples, and my favorite was the Turkish Spice Mint which included peppermint, cinnamon, ginger root, licorice root, cardamon, cloves, stevia leaf and vanilla essence. The stevia added a nice sweetness to the mix, which was interesting. I don't usually add sugar to my tea, but this wasn't overly sweet - it was just a slight sweetness that made the peppermint and other flavors a little brighter. Browsing the website is interesting, because for each tea there are steeping instructions - some need hotter water or different steeping times - and there are notes about the health benefits of the tea and a bit of history or notes about harvesting or other tidbits. There's not much that's less fun than cleaning spillage in the oven. I try to be careful, but there's always something that spills or splatters. Oops. Actually, the bottom of my oven is pretty safe because I've got a pizza stone that lives on the bottom rack of the oven. But the pizza stone gets a little messy sometimes. That's not good. When the nice folks at Chef's Planet offered to send me an oven liner, I figured I'd give it a try. The liner is thick enough so it's not floppy, and it's made of some kind of nonstick material so it cleans up easily. You cut it to fit your oven, leaving a little space around the edges of the oven for air circulation. The instruction say it's dishwasher safe, but it's easier to just wash it by hand. The only odd thing is that the instruction say that you shouldn't put the liner on the bottom of the oven - you should put it on the bottom rack. I'm not sure why, but in my case it made sense. I put the liner on top of my baking stone. And the instructions also say you can put pans and things directly on top of the liner, so it's not like you're losing the use of the rack. The first time I used the liner, there was a chemical-like scent while I was preheating the oven, but whatever that was, it apparently burned off, since I haven't noticed that scent since then. 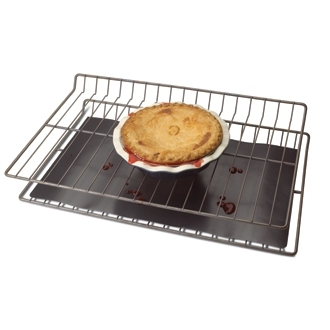 The liner is good for up to 500 degrees, so that ought to cover most home uses. The only time I heat my oven higher than that is when I'm making pizza or when I'm using the self-cleaning cycle on the oven. Spaghetti Sauce from a JAR??? I used to scoff at the idea of using a jarred pasta sauce. Why bother? It's soooo easy to make your own sauce, right? And the jarred sauces I grew up on were pretty terrible Too sweet or too bland or too ... weird. Recently, though, I've found some jarred sauces that are pretty good. Mostly, they're from small producers and they don't include the odd ingredients, preservatives, sweeteners, and ... strange stuff. I still make my own sauce when I have time, but i like to keep a couple jars of sauce on hand for the days when I don't have the brainpower to do much more than boil some noodles and dump on some sauce. 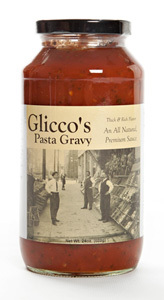 A little company called Elbow Foods produces just one product - Glicco's Pasta Gravy. One interesting thing is that the sauce includes honey, but it's not sweet. In fact, I thought it was just a tad acidic for my taste. Not terribly so, but if I was making my own sauce, I would have muted that tartness a bit. King Arthur Flour's FREE Traveling Baking Demos winter tour kicks off later this month, with four weeks of Baking Across America. Some of the demos will also broadcast live online, so more bakers can join the fun. Details about online broadcasts will be available on Facebook. 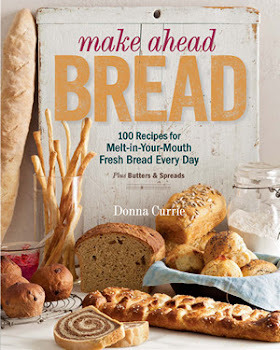 There are two two-hour demos in each location: Perfect Pies & Savory Scones, and Baking with Yeast & Whole Grains. Demos are free, no registration, and attendees will leave with recipes, coupons, tips and tricks, and maybe even a great prize. More information is on the website. I've been to these demos and they're definitely worthwhile to go to. And they give away some fun stuff, too. From now until February 4, 2013, you can enter the 7th Annual Man-O-Manischewitz Cook-Off for a chance to win the $25,000 Grand Prize, which includes Maytag® appliances, cash, an expense-paid trip and a beautiful crystal trophy. This year, the contest will be held at the Manischewitz Manufacturing Plant and Headquarters in Newark, NJ, giving contestants and guests a peek inside their state-of the-art production facilities. The Cook-Off encourages at-home chefs to experiment with kosher products.. The entry deadline is Monday, February 4, 2013. To enter, log onto www.manischewitz.com, and click on the Cook-Off Banner. The recipe must adhere to Kosher guidelines, be prepared in under an hour, have no more than 9 ingredients which must include one of the Manischewitz All-Natural broth flavors-new Turkey, Chicken, Reduced Sodium Chicken, Beef and Vegetable, plus one additional Manischewitz product. Four finalists will be chosen by the judging panel and five semi-finalists will be posted on www.manischewitz.com from February 21 through February 28, allowing consumers to vote online to select the fifth finalist. For complete contest details, go to www.manischewitz.com. All five finalists will win an all-expense paid trip to compete live on March 21 at the Manischewitz Manufacturing Plant in front of a live panel of judges consisting of food media and other culinary experts. The grand prize package includes Maytag appliances, cash, expense paid trip and a beautiful crystal trophy. Entries are due Jan. 31, 2013 for the Festival of Breads contest. 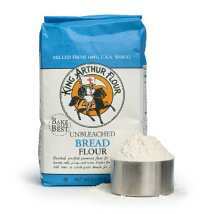 Check out the rules at www.nationalfestivalofbreads.com/rules before submitting your recipe.